I am a certified yoga instructor based in Hong Kong. 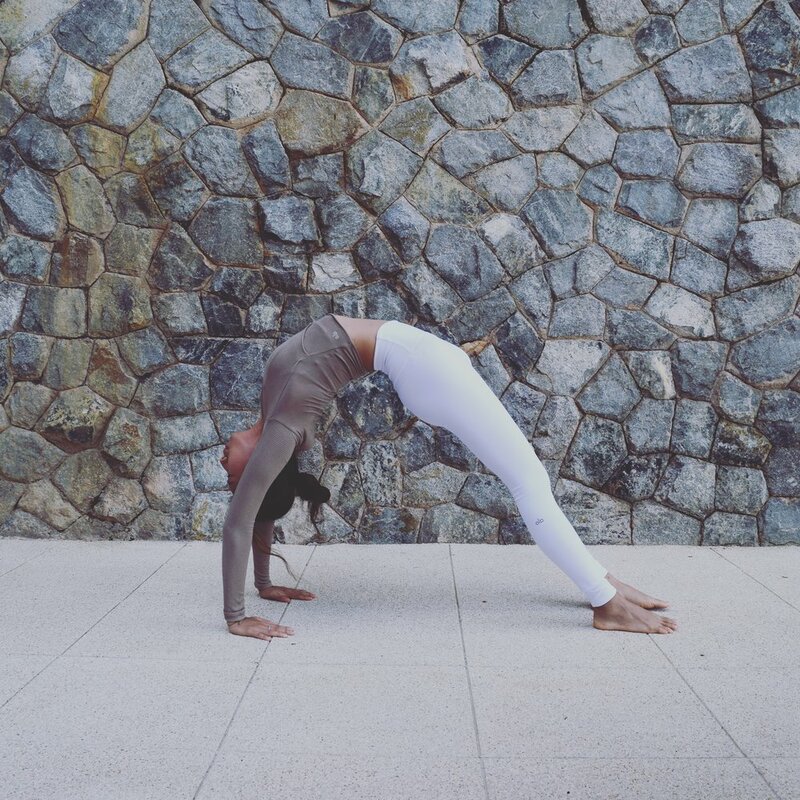 I teach an alignment-focused slow vinyasa flow with an emphasis on heart-opening and back-bending techniques. My sequences are designed to strengthen through lengthening one’s body while deepening one’s range of motions. I offer private classes to individuals and small groups. Private classes are the most effective way to learn yoga from any level, and are ideal for those who are new to yoga, recovering from an injury or experienced students wanting to deepen certain aspects of their practice. I offer 45 minutes on-site classes and workshops with a focus on relieving neck, shoulder and back tension as well as building hamstring and hip flexibility.